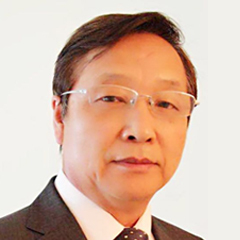 Mr. Zhou is a highly experienced enhanced oil recovery researcher who has been for long designing and supervising lab experiments and infrastructure and handling a wide spectrum of routine and sophisticated projects, advanced core analysis, core flooding lab, and PVT Lab Setups. Xianmin has conducted research in different areas such as CO2 IOR, chemical EOR and two-phase and three-phase relative permeability in porous media. He is currently working on multiple projects such as the displacement efficiency of oil recovery by Supercritical CO2 and chemical solutions injection. Before joining KFUMP in 2016, he served as a Petroleum Engineer at Reservoir Engineer Technology Team, EXPEC Advanced Research Center at Saudi Aramco (2010-16), as a Quality Control Supervisor/ Senior Special Core Analyst at Intertek Caleb Brett, Houston, TX, USA (2007-10), and as a Senior Special Core Analyst at Core Labs Inc., Houston, TX (2005-07) among other high-profile incumbencies. Mr. Zhou is a registered patentee of a number of breakthroughs like “Core Holder for Three Piece Core Flooding Experiments”, China, 1988, “A Method of Measuring Oil-Water-Gas Relative Permeability for Oil Reservoir Samples”, China, 1989, “Plugging thief zone and fractures by in-situ and in-depth crystallization for improving water sweep efficiency of sandstone and carbonate reservoirs”, USA, 2014. “Multiple Function Core Flooding Apparatus and Experimental Methodology for Study of Secondary and Tertiary Oil recovery,” In processing, U.S. Application No. 15/452,949 filed on March 8, 2017. MS, Natural Gas & Petroleum Engineering, University of Wyoming, China, 1996. Oil Recovery by Water, Chemical Solutions, and Supercritical CO2 Injection. Two-Phase and Three-Phase Relative Permeability and flow in porous media. Zhou, X., “Experimental Study on Water/Gas Relative Permeability Curve in Lamadian Oil Field”, Petroleum Geology & Oilfield Development in Daqing (Feb. 1988) 7. Zhou, X., “A New Method to Predict Average Pore Throat Radius and Air Permeability of Sandstone by Capillary Pressure Obtained by Mercury Injection”, Petroleum Exploration & Development, Beijing (May 1989)16. Zhou, X., Zhang, J.F., and Chu, X. C., “Development of Theoretical Study on Oil Gas and Water Three-Phase Relative Permeability”, journal of Daqing Petroleum Institute (Jan. 1990) 14. Zhou, X., Torsaeter, O., Xie, X., and Morrow, N.R., “The Effect of Crude Oil Aging Time and Temperature on the Rate of Water Imbibition and Long-Term Recovery by Imbibition”, SPEFE, Vol. 10 No.4 Dec. 1995, 259-265. Zhou, X., Yuan, Q., Lui, G. & Lin, Y., “Experimental Investigation for Measuring Three-Phase Relative Permeability of Oil, Gas and Water for Daqing Oilfield”, Society of Petroleum Engineers. doi:10.2118/30846-PA, May 1997. Zhou, X., Morrow, N.R. and Ma, S. “Interrelationship of Wettability, Initial Water Saturation and Aging Time on Oil Recovery by Imbibition and Waterflooding”, SPE Journal (June 2000) vol.5 No2, 207. Zhou, X., Han, M., Fuseni, A. B. and Yousef, A. A., “Adsorption-Desorption of an Amphoteric Surfactant onto Permeable Carbonate rocks”, SPE 153988, Presented at the eighteenth SPE Improved Oil Recovery Symposium held in Tulsa, OK, USA, April 14-18, 2012. Xianmin Zhou, Fawaz Al-Otaibi, Sunil Kokal, Almohannad Alhashboul, Senthilmurugan Balasubramanian, and Faris Alghamdi, “Novel Insights into IOR/EOR by Seawater and Supercritical CO2 Miscible Flooding Using Dual Carbonate Cores at Reservoir Conditions”, presented at 18th EAGE European Symposium on Improved Oil Recovery, 14 – 16 April 2015, Dresden, Germany, 2015. Aleidan, H. T. Kwak, H. Muller and X. Zhou, “Paleo Oil Characterization and Fundamental Analysis,” SPE REE, Vol. 20 No.2 May 2017, 260-268. Tau Beta Phi Honorary Society Award, University of Wyoming, 1995. Scientific and Technical Advance Award, China National Petroleum Corporation Award 1990. Scientific and Technical Advance Award, Daqing Petroleum Administrative Bureau, 1986, 1989 and 1990. Best Paper Awards, 1989, 1990. Achievement Award, Saudi Aramco, KSA, 2015.